Visva-Bharati University is a Central University and Institution of National Importance under the control of University Grants Commission. The foundation stone of Visva-Bharati was laid on 8 Poush 1325 (24th December 1918) by Rabindranath Tagore at a spot where the present ‘Santoshalaya’ of today stands. The formal work of the institution was started from 18 Ashar 1326 (3rd July 1919) in the form of the beginning of research and teaching. 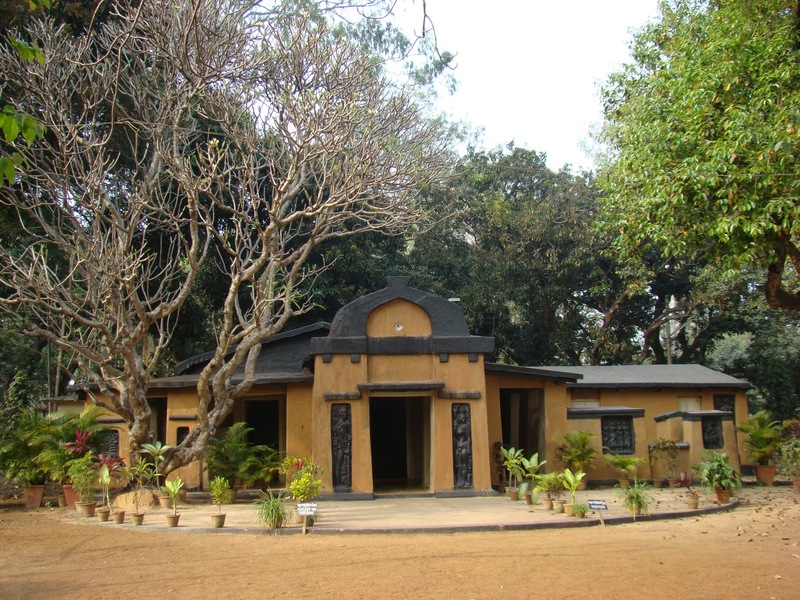 Tagore conceived Visva-Bharati as an ‘International Centre of Humanistic Studies’. At the age of forty, inspired by extraordinary vision Rabindranath Tagore started a school at Santiniketan with only five students. The school was first named ‘Bramacharyasrama’. The level of education was raised from that of primary education in ‘Bramacharyasrama’ to that of higher research and independent academic work. Tagore had singled out creation of learning i.e. research and studies as the objective of Visva-Bharati.